ASTM A333 is the standard specification for seamless and welded carbon and alloy steel pipe for low temperature service or other applications requiring notch toughness. There are several grades of ferritic steel covered by this standard: Grade, Grade 3, Grade 4, Grade 6, Grade 7, Grade 8, Grade 9, Grade 10 and Grade 11. Metals-Piping provides ASTM A333 pipes made by the seamless or welded process with the addition of no filler metal in the welding operation except that Grade 4 shall be made only by seamless process. 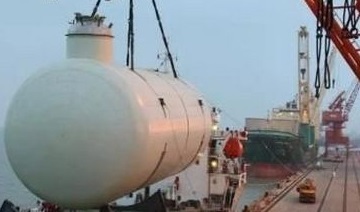 The pipe shall be furnished free of welding repair, either radiographically tested or ultrasonically examined. ASTM A333 grade 6 seamless pipes, 6″ w.t=32mm. *For Grade 1 and 6, each reduction of 0.01% C below 0.30%, an increase of 0.05 % Mn above 1.06 % would be permitted to a max. of 1.35%. *For Grade 6, the limit for columbium may be increased up to 0.05 % on heat analysis and 0.06 % on product analysis. *Generally, the carbon equivalent C.E = [C + Mn/6 + (Cr + Mo + V)/5 + (Ni + Cu)/15] shall not exceed 0.43% by heat analysis. *The elongation values are furnished on the basis of standard round 2 inch or 50 mm(or 4D) specimens. *Elongation of Grade 11 is for all walls and small sizes tested in full section. *A denotes minimum average notched bar impact value of each set of three specimens. *B denotes minimum notched bar impact value of one specimen only of a set. * Impact tests speciﬁed for temperatures lower than 70 °F [20 °C] should be made with precautions. 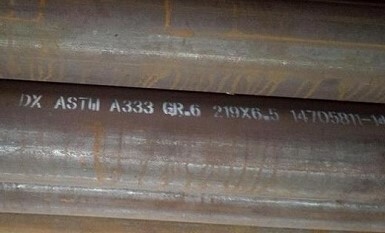 Welded pipes, 8″ SCH20, ASTM A333 grade 6. Normalize by heating to a uniform temperature of not less than 1500 °F [815 °C] and cool in air or in the cooling chamber of an atmosphere controlled furnace. Or normalize as above-mentioned, and, at the discretion of the manufacturer, reheat to a suitable tempering temperature. For the seamless process only, reheat and control hot working and the temperature of the hot-ﬁnishing operation to a ﬁnishing temperature range from 1550 to 1750 °F [845 to 945 °C] and cool in air or in a controlled atmosphere furnace from an initial temperature of not less than 1550 °F [845 °C]. Or treat as above-mentioned, and, at the discretion of the manufacturer, reheat to a suitable tempering temperature. 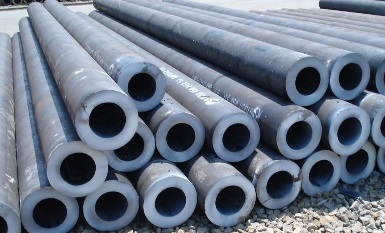 Seamless pipe of Grades 1, 6, and 10 may be heat treated by heating to a uniform temperature of not less than 1500 °F [815 °C], followed by quenching in liquid and reheating to a suitable tempering temperature. 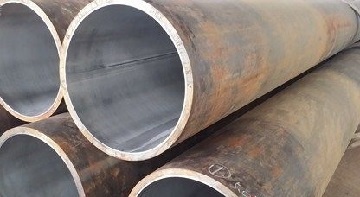 ASTM A333 Grade 8 pipe shall be heat treated by the manufacturer by either of the following methods: quenched + tempered; double normalized + tempered. 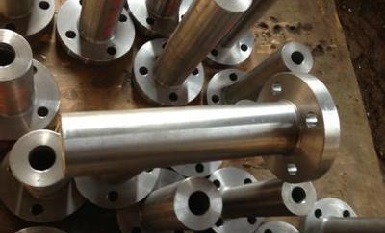 When required, Grade 11 shall be annealed and then normalized in the range of 1400 to 1600 °F [760 to 870 °C].